One for when your face lacks any sort of radiance and resembles an arid, dusty moonscape (“there’s no life on this planet, Captain!”): Bobbi Brown’s Extra Illuminating Moisture Balm. This hydrating, subtly pearlescent cream gives a nice, even glow that makes foundation look juicier and bare skin realistically dewy. It’s non-greasy and – surprisingly – not really that heavy, despite its balmy/extra name, so a great option for most skin types and a quick, foolproof way of adding some illumination without having to blend in mega-watt highlighters or strobing products. The balm (which has more of a “stiff cream” texture than an oily sort of balm) is kind of a diluted version of something like Strobe Cream (MAC) or NARS’ Illuminator – imagine mixing a good few drops of Benefit’s High Beam into your face cream and you’re getting the idea. It’s not “robot face”, but you can definitely tell the difference when you’ve applied it. I’ve been using the original version of the Extra Illuminating Moisture Balm (black packaging) for quite some time now, but it has come to my attention that this complexion-perker has relaunched with new packaging (white, but still a handy pump-action bottle) and two new shades. What was the original is now “Bare Glow” – I’d say that it’s the sheerest of the lot, with a slight champagne tint – and the line-up also includes “Pink Glow” (pictured above) and “Golden Glow”. Both of those are probably pretty self-explanatory, though I’d say that they are both a smidgen more pigmented than the “Bare Glow” – the pink tint is possibly a little cool for me, because I like to warm my skin up a bit, the golden is the perfect summer skin base. Who is this for? Anyone who wants a multi-tasker that will moisturise, prep skin for makeup and add a touch of cosmetic radiance at the same time. It’s like a final skincare step and first makeup step in one, though my skin seems to be getting drier by the day and so – for me – this isn’t quite enough as a moisturiser on its own. In the summer, perhaps, but as it stands, I’m having to layer up a hydrating spritz with a serum and then a moisturiser and then this – do not expect dry skin miracles from it! It’s great, though, if you love the idea of a noticeable radiance and sheen but are scared about using highlighters because you’ve seen so many images of girls online who look as though they’ve held a snail race across their cheekbones. Or sprayed chrome car paint onto their skin as a finisher. 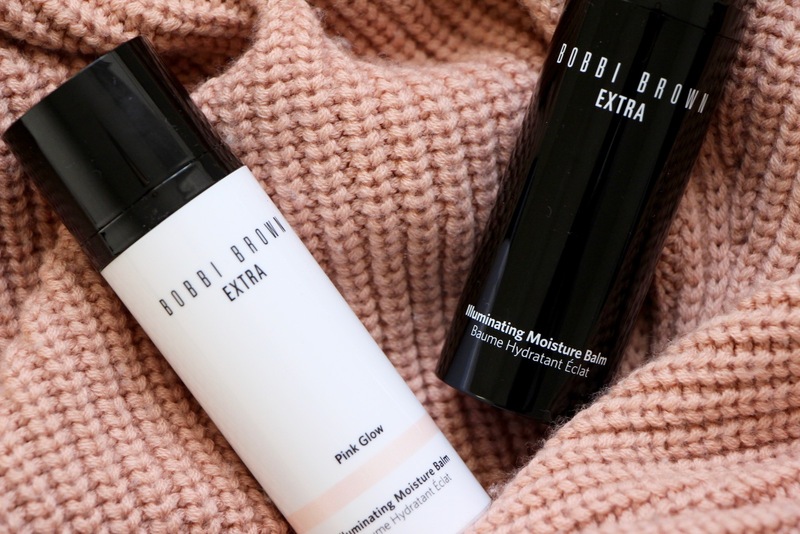 The Bobbi Brown Extra Illuminating Moisture Balm will not make you look silly, whether you decide to follow it with a foundation or BB cream or leave your skin virtually bare – the fact that you can apply it all over, as you would a moisturiser, takes away any kind of guesswork. If I were to be pedantic about it, I’d say that perhaps oily/combi skins should apply it sparingly on the forehead, nose and chin if they’re leaving their skin foundation-free, but that’s only because it might be a little too sheeny for an oily t-zone; it’s better to look as though you’ve been living in the Alps for five years, drinking only mountain water and eating goats cheese salad than looking as though you’ve been trapped in a lift for five years, praying for the air conditioning to come back on and drinking your own urine. All over sweats is never as good as holier-than-thou dewiness, unless you’re filming a horror movie or an exercise DVD. But experiment and see what suits you best. For those who have been pining for some of Victoria Beckham’s Morning Aura* (it’s a makeup product, not some sort of bottled-up air from VB’s vicinity, though nothing would surprise me these days!) 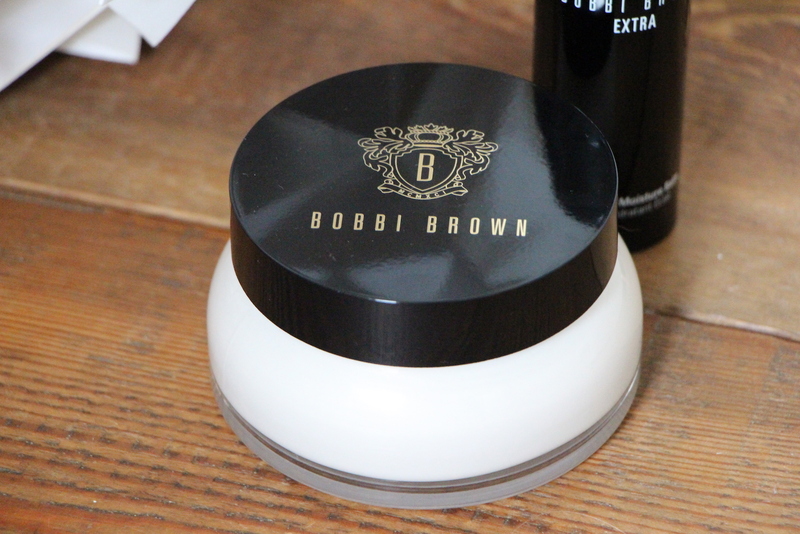 then you’ll be pleased to know that Bobbi Brown’s works out to be almost identically priced – approx £1.50 per ml in both cases. You thought I was going to say that the BB was loads cheaper, didn’t you? Ha. I’m full of tricks, me. 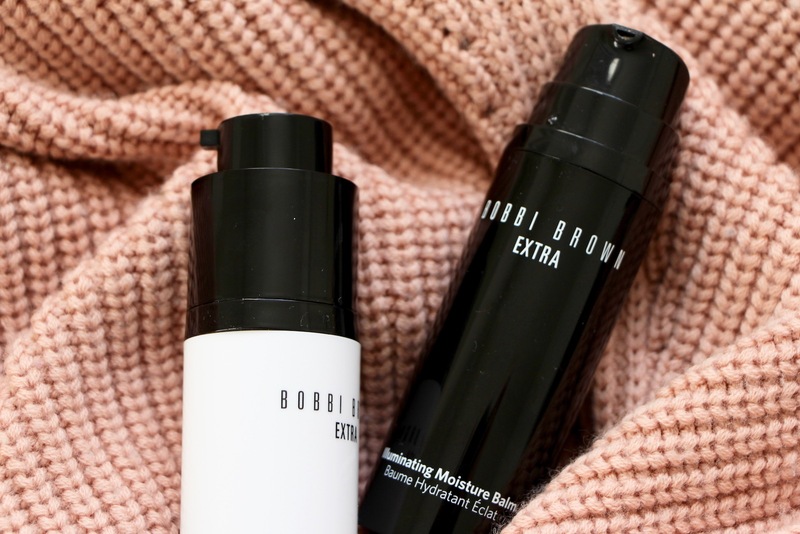 You can find the Bobbi Brown Extra Illuminating Moisture Balm at Lookfantastic here* or Bobbi Brown’s own website here* for £44.50. I’ve just seen on the BB website that there’s 15% off your first order if you sign up to their newsletter, so worth doing to make things a little more affordable. If you did want a really affordable all-over highlighter then L’Oreal’s Lumi Magique primer has done me well, over the past year or so – it’s nowhere near as moisturising as the Bobbi Brown, but then doesn’t claim to be. It gives a big glow, but is better layered over a face cream, I find. It’s an excellent primer for those with oilier skin who want glow but no grease – it’s £6.66 (number of the beast, but I’ll gladly ignore that for a bargain!) from Amazon here*.